"They weren't quite sure what to make of Barry." One of the better documentaries out of Sundance this year is one titled Call Me Lucky, from filmmaker and comedian Bobcat Goldthwait. At my screening at Sundance, Bobcat introduced it by talking about his friendship with Robin Williams, revealing that Robin told him to go out and make this documentary about Barry. So he did. And it's a remarkable documentary that will throw your for a loop, as there's a dark secret revealed halfway through that changes everything. By the end I was inspired, because Barry has gone through so much yet remains such a strong and genuine voice, in comedy and activism. This one of those documentaries where I'll continue to say - it's worth seeing. Barry Crimmins is pissed. His hellfire brand of comedy has rained verbal lightning bolts on American audiences and politicians for decades, yet you've probably never heard of him. Once you've experienced Bobcat Goldthwait's brilliant character portrait of him and heard Crimmins's secret, you will never forget him. From his unmistakable bullish frame came a scathingly ribald stand-up style that took early audiences by force. 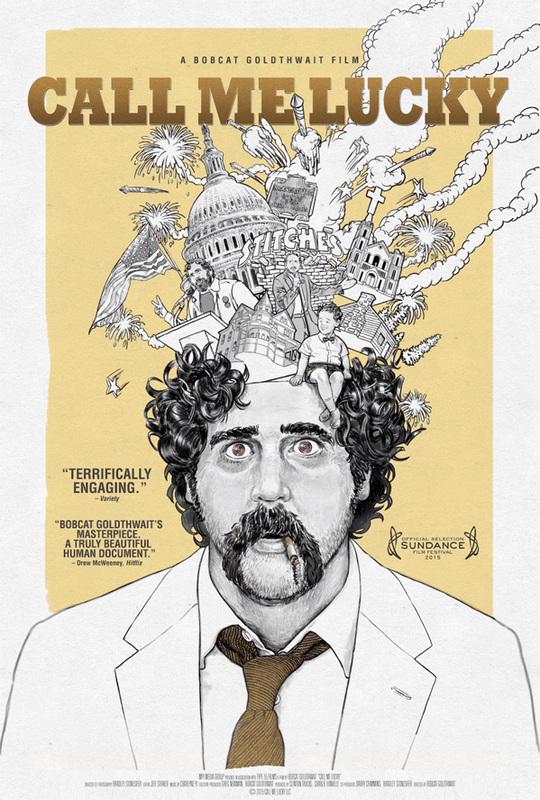 Through stark, smart observation and judo-like turns of phrase, Crimmins's rapid-fire comedy was a war on ignorance and complacency in '80s America at the height of an ill-considered foreign policy. Crimmins discusses another side of his character, revealing in detail a dark and painful past that inspired his life-changing campaign of activism in the hope of saving others from a similar experience. Call Me Lucky is directed by filmmaker/comedian Bobcat Goldthwait, of the films Sleeping Dogs Lie, World's Greatest Dad and God Bless America previously. The doc opens in theaters August 7th. Looks like a good documentary. Comics of this era were absolutely batshit insane. I got to watch this today, it made me laugh a lot, it made me angry, but mostly it made me cry, it was savage and he held very little back. He is lucky in that he had good friends and family and was able to keep it together for the most part.